On one of our spa breaks in Perthshire you’ll be able to discover majestic glens, championship golf courses and ancient forests. 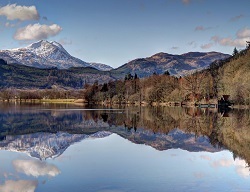 Perthshire has a captivating history, an abundance of magnificent wildlife and a stunning array of events and festivals. An area of natural beauty with tranquil glens, lush forests and a vibrant, ancient city, Perthshire offers visitors centuries of history alongside adrenaline-packed adventure, delicious food and drink, an incredible array of wildlife including red deer and even golden eagles, some of the most exciting events and festivals in the country and so much more. Explore charming towns and villages or discover the cultural delights of Perth, Scotland’s seventh city. Whether it be a weekend breaks or midweek spa break you are looking for with a 1 or 2 night stay our spa hotels in the area of Scotland will be just the tonic. Book some exclusive ‘me time’ by calling us now to check availability for your next spa hotel break.